This is a bottle of 10 pills. Going out for a hunt and need to get ready? Just die and are dreading putting all your spells back up? Run out of daily uses of MANA SPELLUP? Spell up pills are here to help! 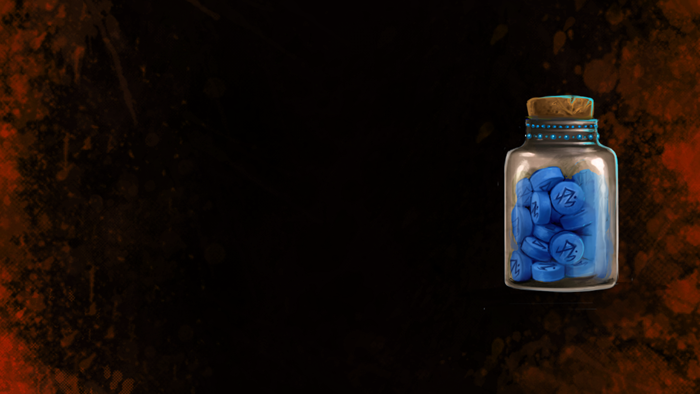 Simply TURN your bottle to retrieve a pill and then EAT the pill to get one instant spell up! This spell up follows the same rules as the MANA SPELLUP command: one cast of each native known buff spell (excluding certain spells such as Wall of Force ), with no mana cost. Appearance: "A Squat Pale Grey Crystal Bottle"